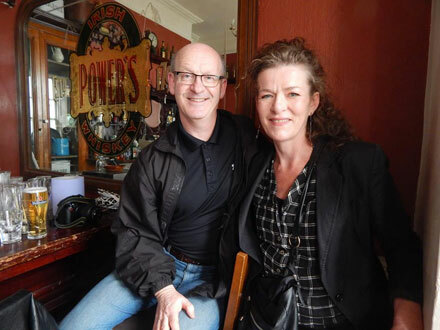 Lovely to meet up and have a chat with ace blues chanteuse, Mary Stokes recently. Old times revisited and new times discussed. A lovely lady. 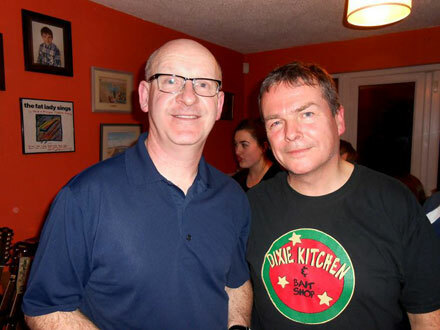 Champion of Irish songwriting talent, Irish bands of all genres - the brilliant Roddie Cleere stands like a beacon in the world of Irish radio. 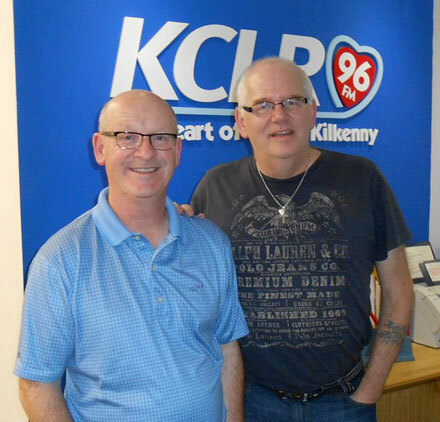 Great to catch up with him in KCLR Radio after such a long time. Blow me down - it's Pat James - DJ extra extra great. 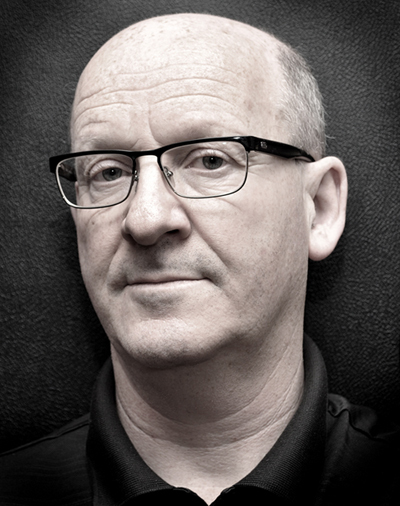 Over the past 25 years and more, Pat single handedly (nearly) promoted more new and young rock/punk/new wave band on his radio shows than you could shake a very large sticky stick at. 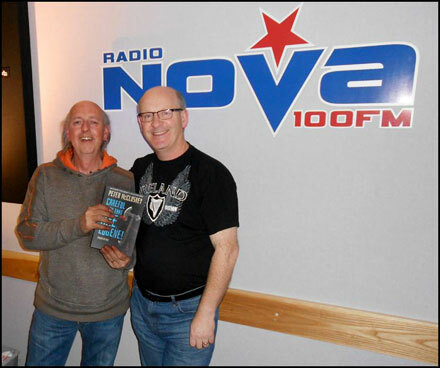 Fantastic having a chat and cuppa with him at Radio Nova. My man in the south east - the wonderful Jackie Hayden. 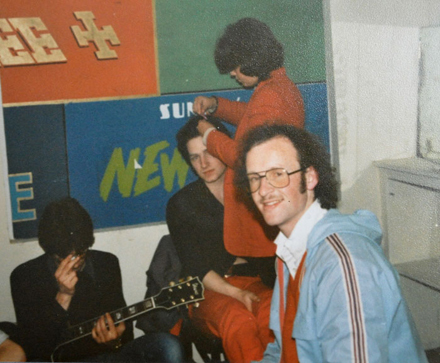 Author of the best selling Phil Lynott book "My Boy" and former Managing Director of Hotpress. 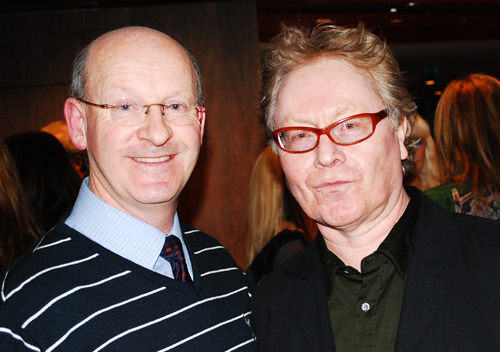 Also the man responsible for signing U2 in Ireland to his record label, CBS. Jackie continues to write books on a wide range of topics including Dylan Thomas and Bob Dylan. 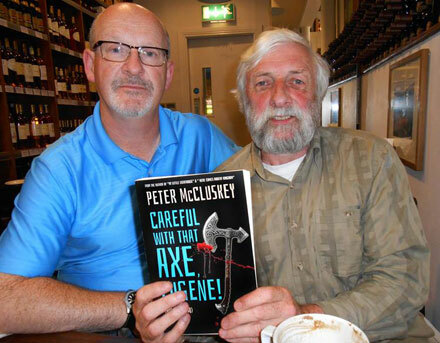 The new novel from Peter McCluskey has just been published and is now available via this website and also selected bookstores. 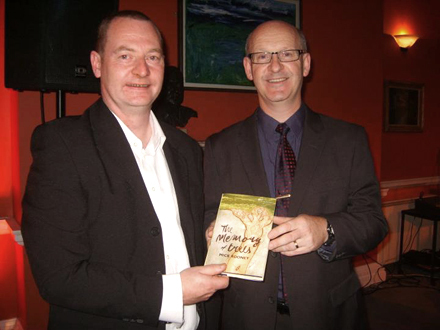 As with all Pete's book launches, the proceeds for the first 500 copies go to benefit The Children's Hospital, Crumlin. Now more than ever The Children's Hospital urgently needs funds to keep basic services going at the hospital. This is truly a crisis time for the hospital and your purchase of Pete's new book will be extremely gratefully donated to the hospital. 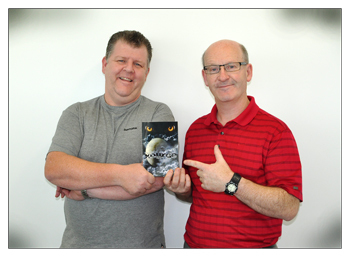 My mate ,Paul Boylan, got off his Harley motorbike long enough to show me his debut children's book, "The Kourge". It's just hot off the presses and is available through www.originalwriting.ie. 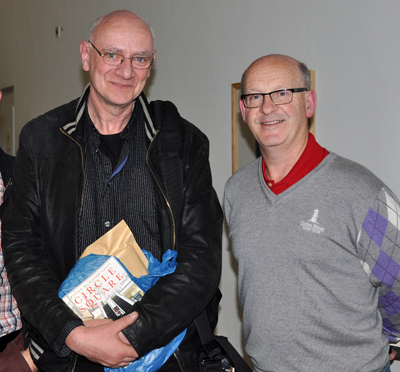 Hi to all those who sent in pix of themselves reading my book - very nice of you ( alright - i twisted your arm!!). Sales of the new book absolutely tipping along nicely. Am heading for the printer's shortly to order second run. Thank you to Hotpress, The Liffey Champion, The Kildare Nationalist, Celbridge Life, Northside News all very much for the articles/news items in your publications and websites - the response on the back of the publicity has been fantastic!! Thank you very much to all my Facebook friends. 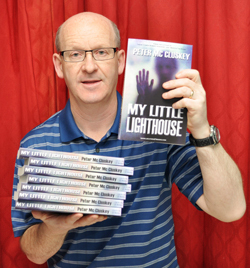 ALL of the 50 first copies of "My Little Lighthouse" were snapped up by them in the first week. Fantastic support!! Friends, work colleagues, my gold club friends and neighbours have all rallied around and the first 250 copies literally flew out of the boxes. Next up is distribution to the shops and libraries - but there's only one of me...so it may take some time to get around to all the places on my list. Website sales are also steady - thank you to all my website visitors for purchasing a copy of the book. At last the new book is ready to roll. "My Little Lighthouse" is good to go and the first 50 numbered copies have been offered to my friends on Facebook as a "thanks" for all their support over the past year. The new book is at the printers and the artwork looks great. My Facebook and Twitter friends are asking me for exact launch date. As best as I can guess it will probably be the end of March after all the St. Patrick's Day partying settles down. The new book is tentatively called "My Little Lighthouse" and if I'm a good diligent boy, I hope to have it ready for my savage editorial team by end of February. 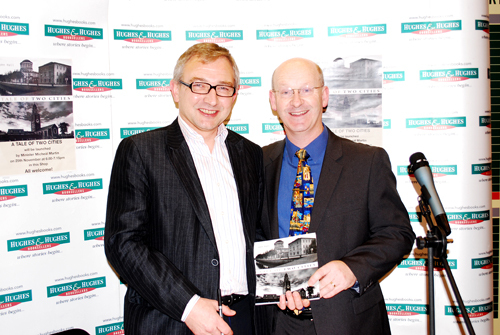 Was delighted to meet with one of my favourite author's, Colin Bateman, at the launch of his great new book, "Dr. 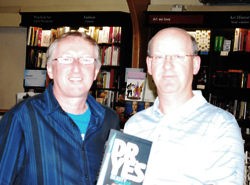 Yes" in Waterstone's, Dublin.My photographer was thta over-awed that he left me and Colin looking a little fuzzy. I've finally put pen to paper and started book number 3. It's been a struggle to make a start due to the promotion and organisation required to look after "Robert Kingdom" - didn't realize how much time a successful book takes up. "Robert Kingdom" sales now surpass total sales for "Boys in the River"
First 500 "Robert Kingdom" books now all sold to benefit Crumlin Children's Hospital. Thanks very much to all of those many people who bought a copy and donated above and beyond the call. I am still selling more books via this website with all proceeds still going to the hospital. 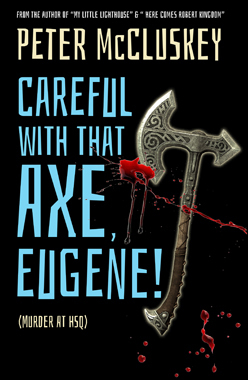 "Here Comes Robert Kingdom" published. John's book - "A Tale of Two Cities"